Looking for a family-friendly vacation in Canada this summer? Or how about a kid-friendly polar bear adventure? Frontiers North is happy to offer Family Adventures in Churchill, Manitoba - the Beluga Whale and Polar Bear Capital of the World! Featuring family-focused activities, Family Adventures by Frontiers North are perfect for family travellers who are looking for an experience that will suit all ages of adventurers. With a focus on kid-friendly programming and wildlife viewing, these tours offer a fun and educational journey in Canada’s North that will create memories that last a lifetime. Our Summer Family Adventure includes time on the water with the friendly and curious white whales with a whale watching boat and zodiac tour. You’ll also have a chance to explore the tundra landscape on a 6-hour Tundra Buggy Adventure in the Churchill Wildlife Management Area. 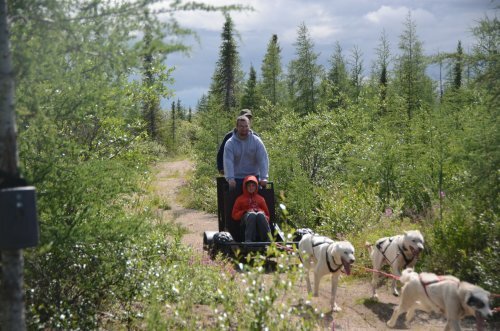 Other activities include a dog-carting excursion through the boreal forest, programming from Parks Canada and the Canadian Junior Rangers. The Summer Family Adventure includes programming geared towards kids 12 and under, as well as elements that will thrill any age of traveler. 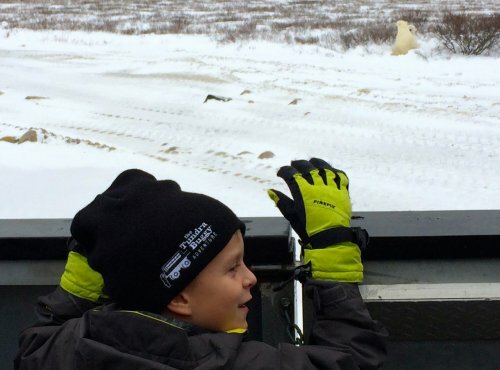 Experience the amazing beauty and wildlife of the North on this family-friendly polar bear adventure in Churchill, Manitoba. This autumn adventure offers a variety of family-friendly activities that showcase the best of Churchill: viewing incredible northern wildlife from an official Tundra Buggy in the Churchill Wildlife Management Area, home to the world’s most accessible population of wild polar bears; feel the thrill of riding through the boreal forest on a dog sledding excursion; learning about the wildlife, culture and people of the north with programming by Parks Canada and the Canadian Junior Rangers; and enjoying the unique opportunity for kids to become Citizen Scientists with experts from Polar Bears International. The Autumn Family Adventure includes programming geared towards kids 12 and under, as well as elements that will thrill any age of traveler.